Enjoy the “air shower” when you enter the cave. 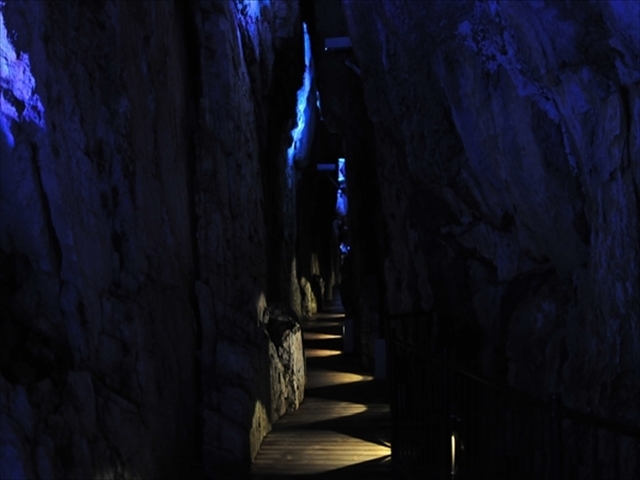 This straight passageway leading to the back of the cave was formed along a geological fault. A folktale says that once upon a time this long and narrow passage was made by a dragon passing through. 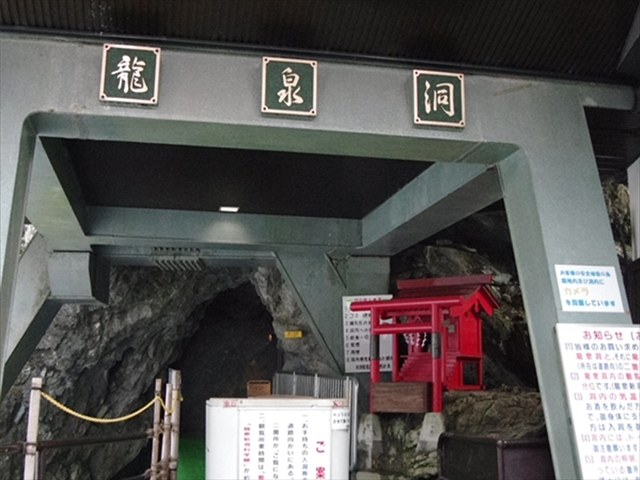 Before Ryusendo Cave developed into today’s tourist destination, it was where young people take an expedition with flaming torches, and head deep into the cave with the boat. 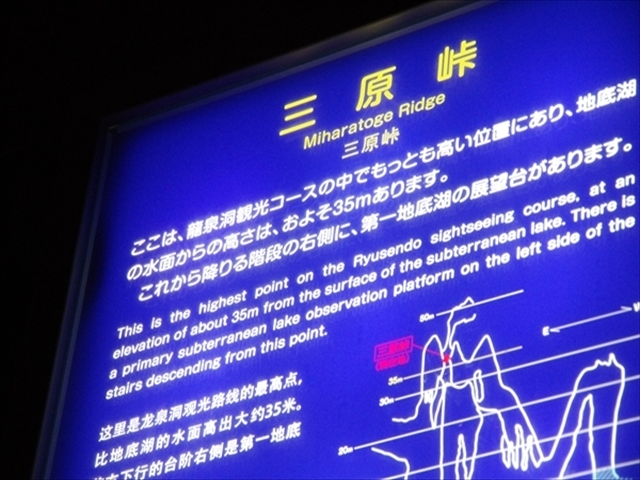 Five varieties of bats, including the Japanese long-eared bat, inhabit the Ryusendo Cave. In Japan it is rare that five varieties of bats live together in one cave. Deep in this cavern, an enormous numbers of bats living there. It takes its name from the old legend that just a sip of its water gives you three extra years of life. It got its name from the rock formation which resembles a dragon’s head. The water is about 10m deep. Resembling a flat turtle shell, Kame-iwa (Turtle Rock) was formed naturally when it fell from the cave`s ceiling which is a rare occurrence in Ryusendo Cave, given that its floor is usually quite solid. 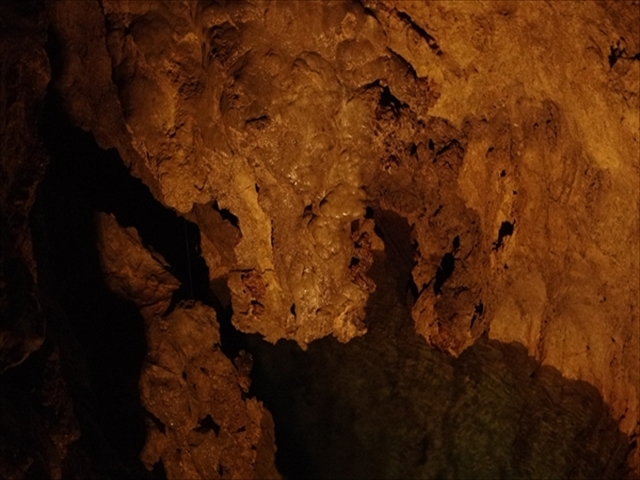 The formation of the stalactites have created an imperial palace in this big space. It was refurbished to LED lighting in 2011, and you can enjoy the wonderful atmosphere that the change of light brings. The water is 35 m deep. Although it is long known as a bottomless cave with a plentiful spring source, Ryusendo was never easy to enter. 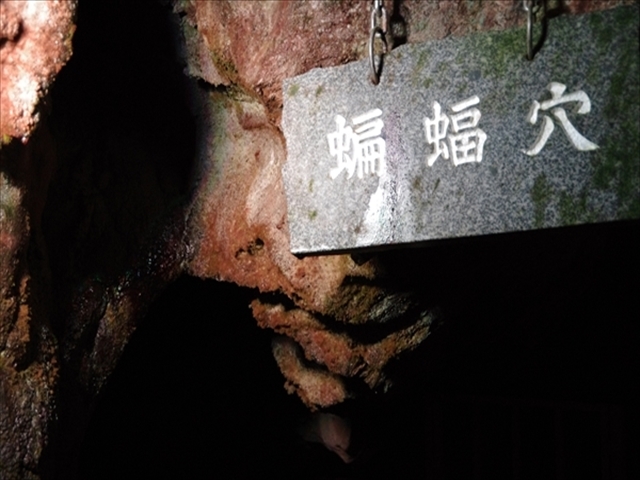 The investigation of Ryusendo Cave started in the 1920s, and eventually a sightseeing tour began with a small boat. 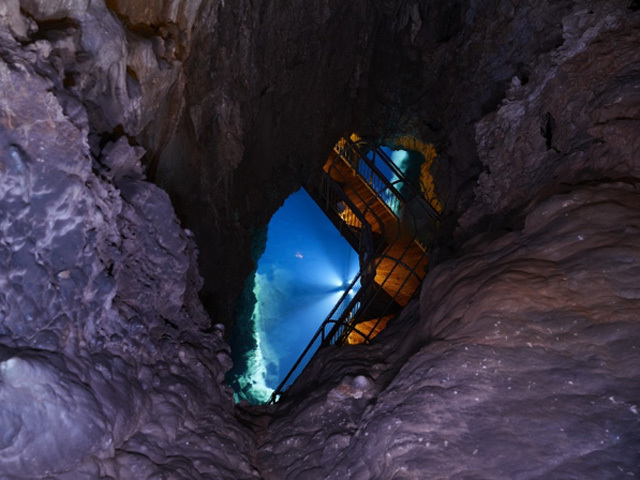 In 1959, the investigation of the First Underground Lake was carried out by lowering down a rubber dinghy from the cliff overhanging this Lake. The water is 38 m deep. 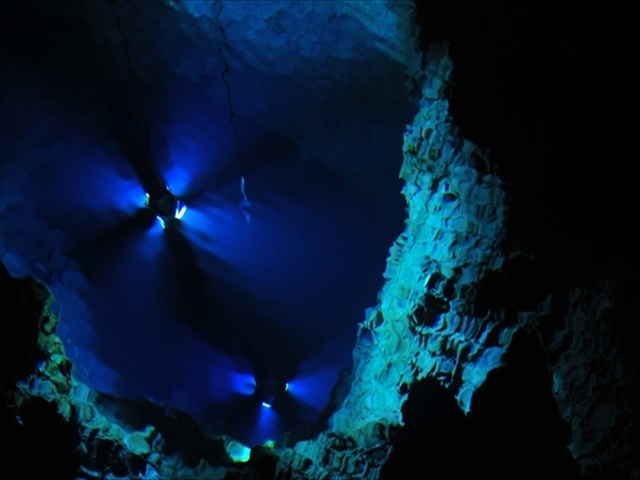 This underground lake was discovered during Mr. Kenichiro Ochi’s diving survey in 1962. 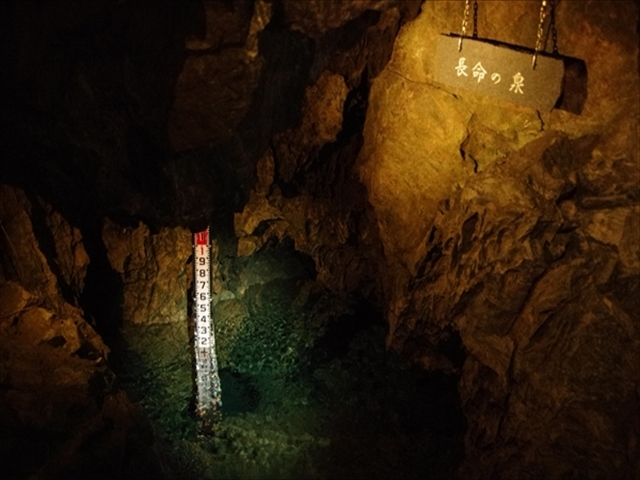 The water of the underground lakes of Ryusendo Cave was found to be sourced from the forest area spread around north of the cave site. 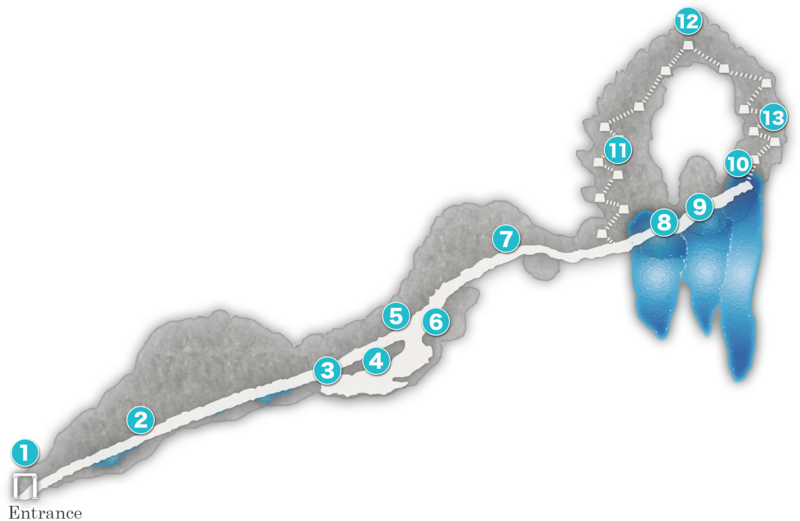 Following a straight line, the farthest water source is from 14km away, and the catchment area is approx. 43 km². The water is 98 m deep. 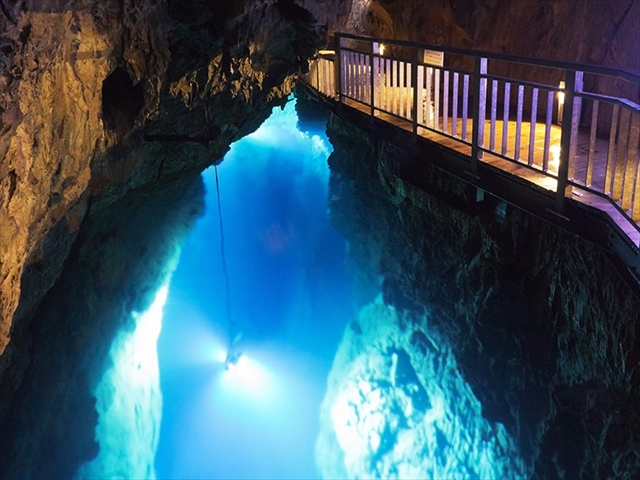 This Third Underground Lake was discovered by a diving survey in 1967. Here is the final point of the tour. Deeper inside from here, the existence of other underground lakes has been discovered, and they are still being investigated. The observation deck for viewing the First Underground Lake from above is here, and you can see groups of stalactites hang from the ceiling. Since the earliest days, this has been a popular spot for taking photos for posters, etc. 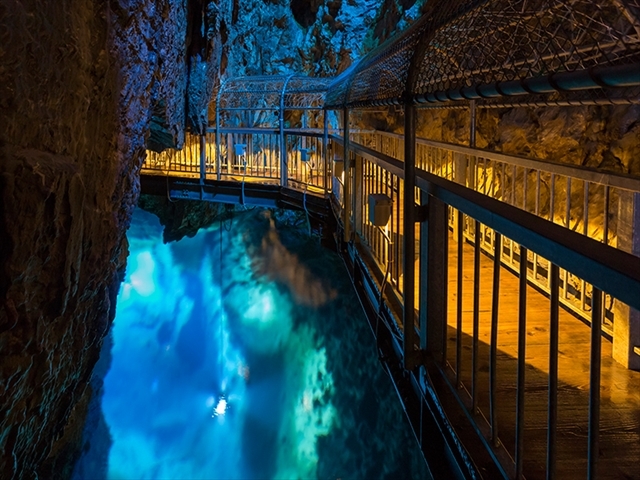 This is the highest point of the entire tour route, and is about 35 m above the water-level of the underground lake. 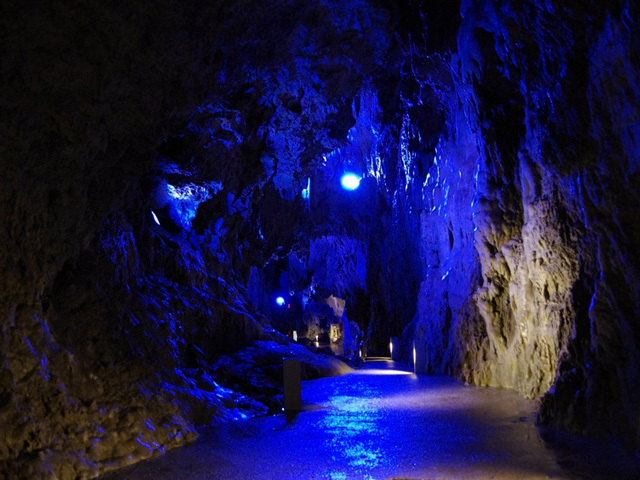 During the busy period when the cave is very congested, the route becomes one-way only because some areas cannot cope with two-way traffic. 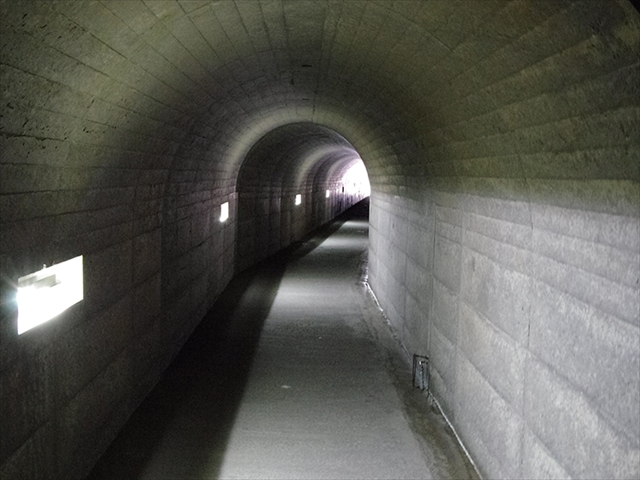 In that case, this tunnel passageway will be the exit for the tour. In this passage, bottles of “Ureira” wine made from the wild grapes of Iwaizumi are stored and aged before shipment.